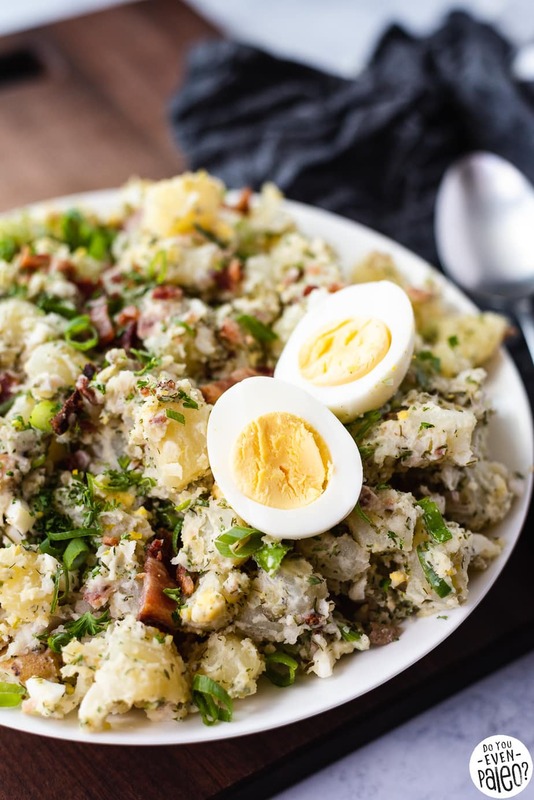 What’s summer without a Classic Paleo Potato Salad recipe? 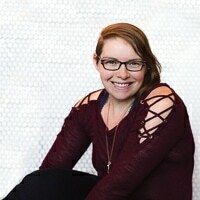 And let me tell you, I loaded my version with good stuff. 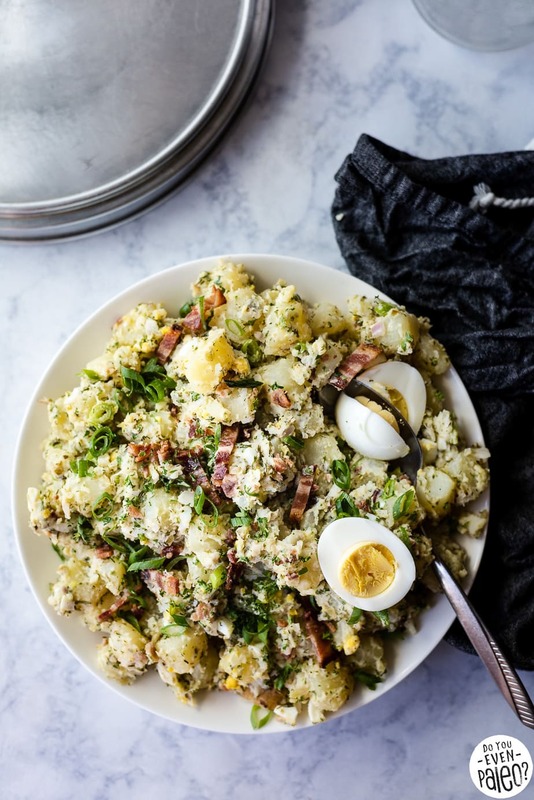 Dill, parsley, scallions, hard-boiled egg, and crispy bacon pack this potato salad with flavor! Living in the upper Midwest, non-lettuce salads are mainstays at potlucks, family reunions, and backyard BBQs. And when I say non-lettuce salad, I’m not talking about anything remotely veggie related like cucumber salad. Jello salads, pasta salads, and at least three kinds of potato salad dot picnic tables at our get togethers. My German-Russian family focuses on stuffing the family with only the heartiest of comfort foods. Gradually, as our huge extended family ages, I see healthier fare popping up at our reunions. But of course, classic potato salad never gets displaced. 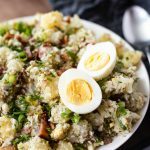 My family can’t be the only one that loooves their potato-based recipes, so there’s no shame in adding my spin on classic paleo potato salad to the mix! For my version, I altered the usual potato salad that shows up at family gatherings in a couple ways. First, I cut down on the mayo big time. Sure, I still love that creaminess, but no way do I want to use the whole jar of mayo for one recipe. Next, I mixed in ingredients to load it up with flavor. 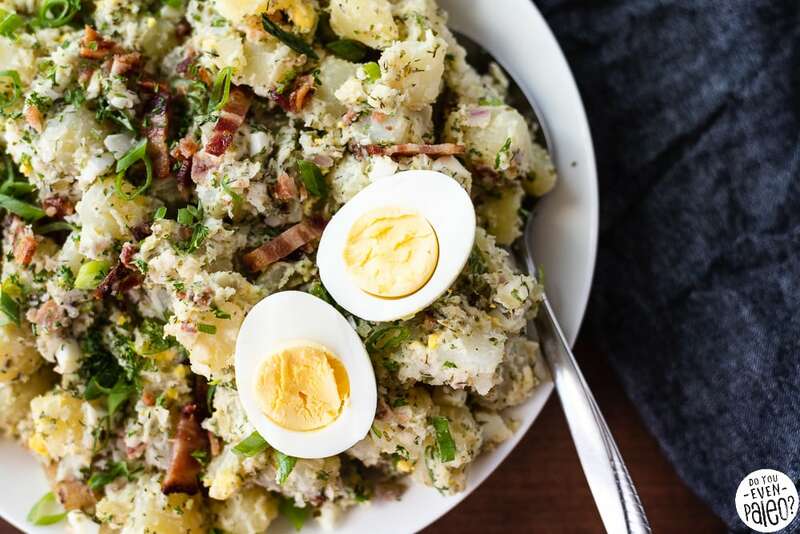 Bacon, hard-boiled eggs, and herbs… That’s the ticket to mouthwatering potato salad without a ton of mayo. 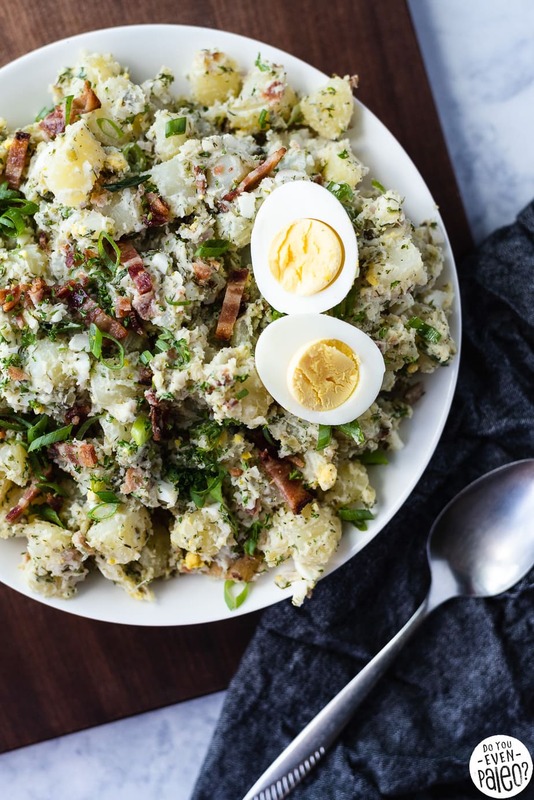 Think loaded baked potatoes, but in a potato salad. Sounds awesome, right? Peel and cube the potatoes. Add to a deep pot and fill with water until potatoes are completely submerged. Set the pot on the stove and heat the water to boiling. Let boil for 3-4 minutes, then immediately remove from heat and drain through a colander, being sure to reserve 1 tablespoon of the boiling water. Give the potatoes a good shake in the colander to get rid of excess water, then add back to the pot. Return pot to the burner for a few seconds, stirring the potato cubes with a spoon. Transfer the potato cubes to a large mixing bowl. 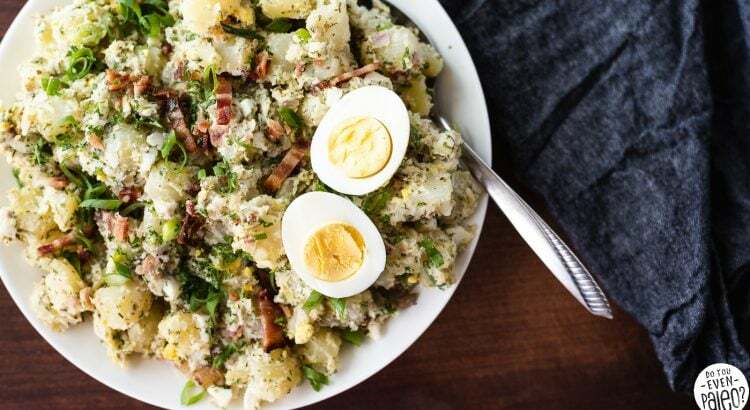 In a medium bowl, combine the reserved potato water, red wine vinegar, mayo, chopped dill pickles, shallot, sliced scallions, salt, pepper, parsley, dill, chopped bacon, and chopped egg. Stir until well-combined. Pour over the potatoes and stir to coat. Refrigerate until ready to serve. Don't subscribe All Replies to my comments Notify me of followup comments via e-mail. 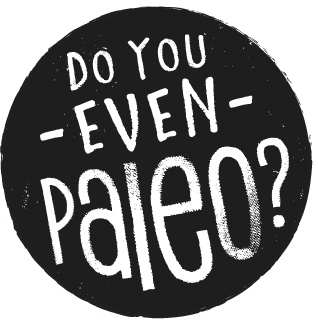 You can also <a href='https://www.doyouevenpaleo.net/comment-subscriptions/?srp=4968&srk=87505361eee98908ddf6ccb8681f50d6&sra=s&srsrc=f'>subscribe</a> without commenting.